This is Blake Bailor checking in, we currently have four different freestyle scooter deck designs avaible on the market! All of which offer innovation, superior performance, a lightweight feel and durability. The only question is, which one is right for you? Well... that's why I'm here! The Lucky Scooters Crew, Strata and Clover decks each have unique traits that make them perfect for different types of riders. 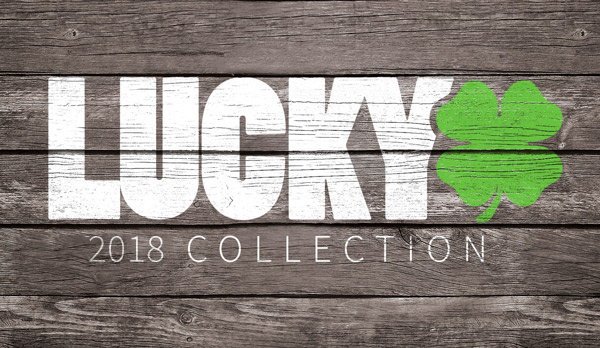 The Lucky Crew Deck, which sells at the lowest price of them all at $119.95. This is the ideal scooter deck for rookie scooter riders, as well as intermediate scooter riders who are looking for added maneuverability. 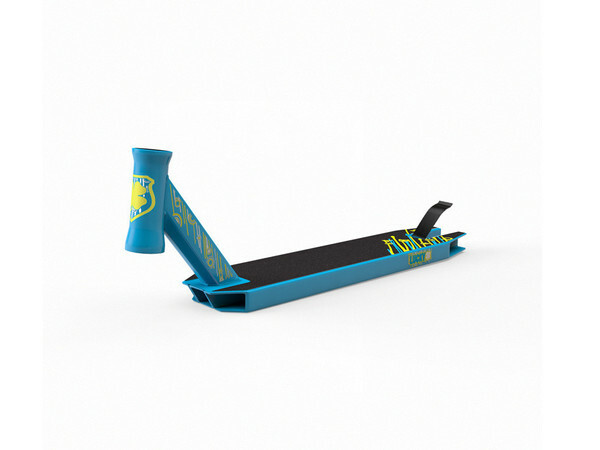 This scooter deck was designed to be thrown all around the skate park! It can also handle the impact of some heavy street riding, but when it comes to the complex grind tricks and technical game, you may want to look to other deck designs that Lucky Scooters has to offer! The Lucky Strata deck is priced at $134.95. It is the next level above the Crew deck. Perfect for any rider at any skill level, this deck can handle the abuse of top pros and even can simplify the learning process for a beginner. Its lightweight feel and flawless head tube design allow for both versatility and maneuverability. If you are looking for high performance at a low price, the Strata is the deck for you. The Lucky Kota Signature deck comes next in the spectrum of scooter decks. This deck is priced at $140.95 and is unique in that it was personally designed to meet Dakota Schuetz's specifications. This makes it the ideal deck for any Dakota fan or rider that is looking to go big in the skate park. If you want to maneuver your scooter like Kota does, and do it with ease, then the Kota signature deck is for you! The Lucky Clover deck is the favorite amongst the professionals. The Clover is the ultimate package, priced at $149.95 it is equipped with lightweight and flushed out head tube providing riders with an excellent feel under their feet. You can ride this deck on any terrain and feel right at home. 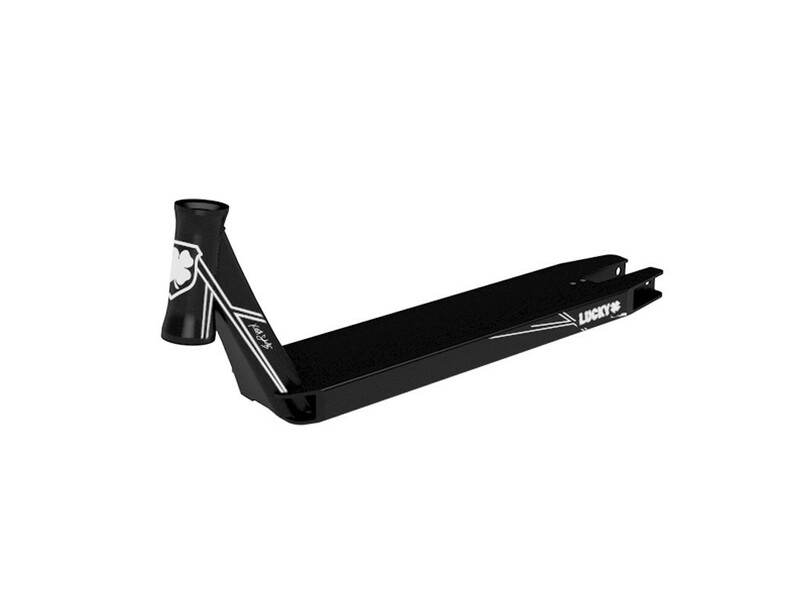 although the price is heftier, it is worth it for all of the more advanced riders out there who demand that their deck stand the test of time while performing at the highest level. Anyways, that is my spiel! Hopefully, this can help you out the next time that you are looking to buy a new Lucky deck and cannot decide which one is right for you!